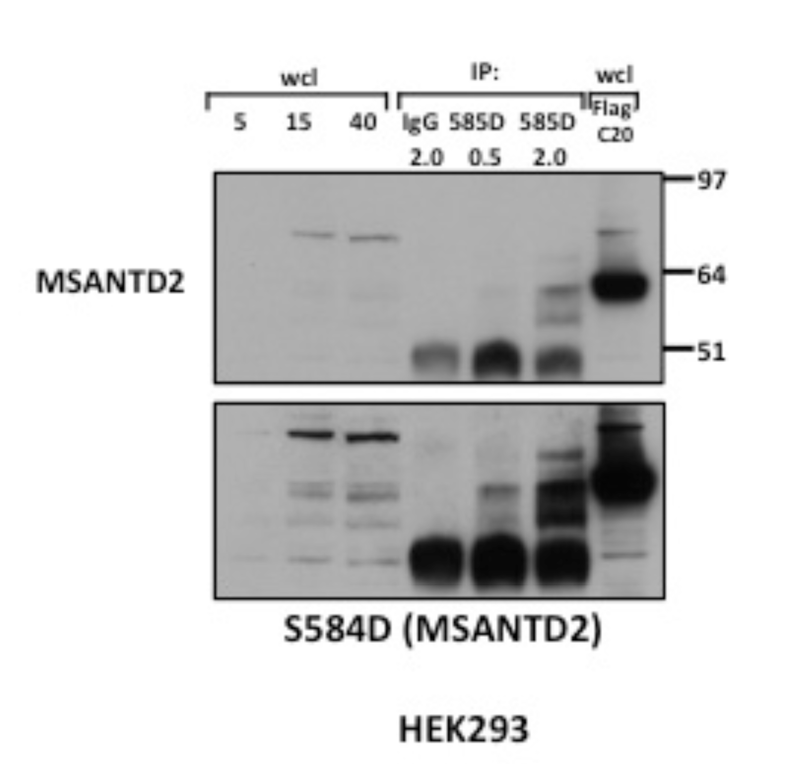 MSANTD2 was immunoprecipitated from HEK293 human lysates (2 mg / IP) using anti-MSANTD2 S584D 2nd bleed (0.5 ug or 2 ug). As a negative control, pre-immune IgG was used. Anti-MSANTD2 S584D 2nd bleed was used for immunoblotting for 1 hour at 1 ug/ml. 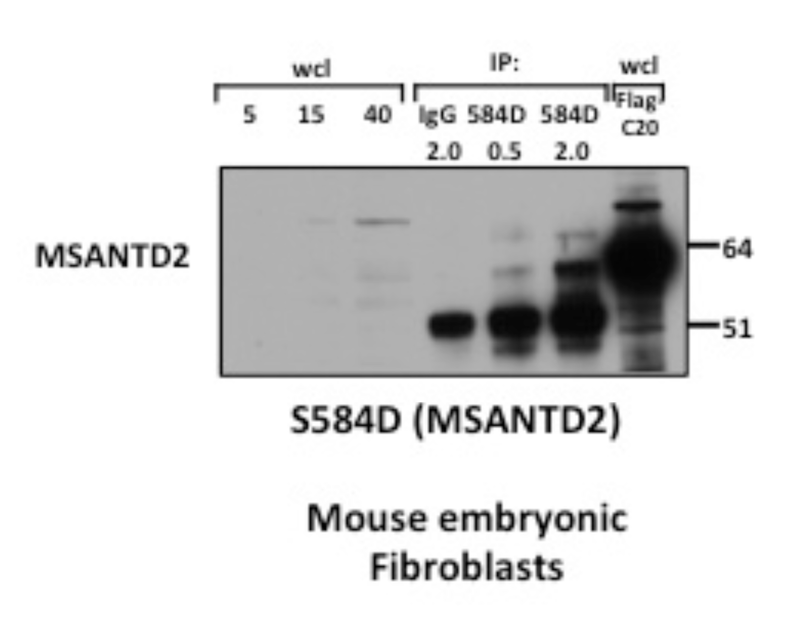 MSANTD2 was immunoprecipitated from mouse MEF cell lysates (2 mg / IP) using anti-MSANTD2 S584D 2nd bleed (0.5 ug or 2 ug). As a negative control, pre-immune IgG was used. Anti-MSANTD2 S584D 2nd bleed was used for immunoblotting for 1 hour at 1 ug/ml.